How to Create Landing Pages With WordPress? We all know whether you are an existing brick & mortar business owner, soloprenuer or even a complete newbie who want to start small online business, having high converting landing pages are important to generate sales. Be it a lead generation page (example of lead generation page) or a sales page (example of a high converting sales page), you need combination of both to create best sales funnel so you can successfully build a profitable business online. Sad to say, there still many businesses that haven’t created any landing pages at all, particularly small online businesses. And the most common reason that they gave is “I do not have any budget” or “I do not have the skills” to start one. If you are one of them, then you should pay attention to what I am going to share next. I’ve discover a very powerful landing page builder namely WP Profit Builder, claimed to help small businesses build super converting landing pages that can grow your revenue. I’ve tried this page builder myself and put together this WP Profit Builder 2.0 Review to share with you on how best you could leverage on this simple yet effective landing page builder as one of your growth strategy. Who Can Benefit Using Profit Builder? Summary: WP Profit Builder 2.0 is a “must-have” tools for all marketers to create highly converting landing pages and sales funnel. Comes hundreds of templates that do not require coding on your part. 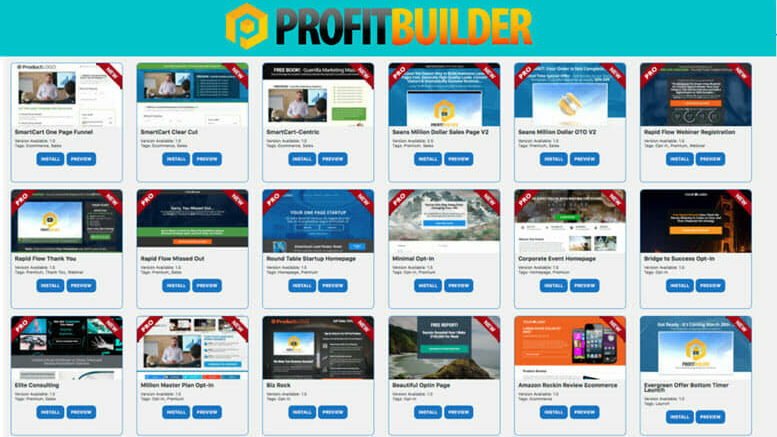 Profit Builder is a landing page builder or a squeeze page creator for WordPress users, first introduced by Sean Donahoe in 2014. Sean is a very established and well-known online marketer. If there is any one person you must learn from to get the most out of every landing page, Sean is definitely the one. From creating super converting squeeze pages to designing a highly profitable sales funnel, Sean has all of the knowledge for you to start small online business. The original version of Profit Builder was a huge success and was incredibly popular in the online marketing industry. Now Sean has brought us a more powerful Version 2.0 of Profit Builder with brand new funnel builder, ecommerce smartcart, improved tracking system, amplified split testing, more high converting templates, unbelievable speed boost and of course with improved support (YES, support is top notch!). If you want to optimize sales from your web visitors, then Profit Builder is for you! You might be wondering how Profit Builder can help to start or scale your small online business. To have better understanding you must first know some of its most powerful features here. Here’s a quick preview about Profit Builder. Now, let’s take a look on the types of landing page templates that are included in Profit Builder. High-Converting marketing pages. What this means is that, you can create high-converting pages which can be used to market your business online and this will eventually increase your conversations, and end up with increased sales and more profit. Lead generation pages. If you are planning to use email marketing to promote your products, then you can create some professionally looking lead generation pages to obtain visitors to sign-up for your offers. This will ultimately increase your list. Sales Pages. You can also create some sales page that’s proven to convert using exiting pre-designed templates which will attract a lot of visitors and make them buy all the products you promote. Profit Builder has the best product landing pages I can ever find! Review Pages. If you are an affiliate like me who write reviews for products, then you should really give Profit Builder a try. Before I found this awesome landing page builder, I use existing WordPress theme design to create product review pages. That’s really dull. But with Profit Builder, my product reviews pages have become lively and this helps to convert my web visitors into customers. JV Pages. If you want to leverage on affiliates to promote your products, Profit Builder allows you to create a super JV page to be integrated with major affiliate networks like JVZoo and ClickBank. Webinar Pages. Webinar is one of the most effective giveaway to generate leads, create authority and improve brand image. Profit Builder can also be used to create some amazing webinar pages as well, helping you to reach a high amount of targeted visitors from all around the world. Authority Blogs. One of the factor Google acknowledges authority site is by assessing user experience on your page. When visitors can find information that they want easily, they will eventually share your blog and thus improve authority. Profit Builder’s drag and drop feature allows you to easily create landing pages that can be exported as html page so you could prevent your pages from “code bloat”, thus maintain higher page speed. About me pages. The about me page is important for people to quickly know about your small online business and understand the type of website they are visiting. If your WordPress theme can’t support a customized layout for this important page, then it’s time to leverage on Profit Builder. This awesome landing page creator allows you to individually overwrite any page that comes with existing WordPress theme and use Profit Builder pre-designed templates instead – or even create your own customized design on each page. That’s the awesomeness of this landing page builder where you don’t have to change your existing WordPress theme to use Profit Builder. The best about Profit Builder is everyone can use it. You don’t have to be tech-savvy to understand. Just have to follow the step-by-step instruction to setup the plugin into your WordPress hosted site. It is very suitable for small online business owners or solopreneurs who focus on growing their business rather than to learn rich technical codes to customize their website extensively. Profit Builder is NOT for hard-core web developers. For those who are not familiar with these technical jargons, I suggest you use SiteRubix to create your website so at the same time could use Profit Builder for specific landing pages. This product is not meant for big businesses like Amazon, IBM or Microsoft but very suitable for small businesses that want to leverage on web pages to improve sales. Other than small businesses, here is a list of people who can benefit from using WP Profit Builder. Whether you want to create individual page customization, improve customer experience, create leads or increase your sales, WP Profit Builder is definitely the best choice. Simple to Setup & Use: Profit Builder is quick to setup and easy to use. Its drag and drop builder can quickly build amazing custom landing pages for any campaign. The first time I used it, my squeeze page was up within a few minutes. Seriously, I think Profit Builder is great for marketers, especially those who are not tech-savvy. 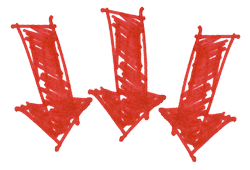 Affordable: Profit Builder is priced lower yet offers way more features than those that are priced higher. Excellent for small businesses or solopreneurs who want to earn money online (here are 50 other ways to earn money online). Integration: Having highly converting sales pages are not enough. You need to integrate these pages with popular marketing platforms including all major email marketing solution like AWeber, webinar services, payment processors and popular ecommerce platform like WooCommerce to optimize its features. All these are made available to you regardless of which plan you buy. Large Selection of Optimized Templates: The main reason you would use landing page software is that the pages you create will be optimized for generating leads and conversions. It comes with more than 130 mobile responsive, high-converting and fast loading templates. Optimize for Maximum Speed: All pages and templates in WP Profit Builder are optimized for fast load time. This improves user experience when they landed on your page, helps Google rank your page higher on search engine, convert more leads and generate more sales. Set Up Funnels Fast: If you are a marketer, I am sure you understand the importance of setting up funnels to optimize sales. In just a few clicks, Funnel Builder (one of the most powerful feature in Profit Builder) is able to assign your pages to specified stages in a funnel and track results in real time. There are just so many other things that I like about Profit Builder and I can continuously share here. But I think it will be better if you could get the first-hand information from the owner himself. Overwhelmed: Because this tool comes with many features to build high converting landing pages, people who are new to this might feel overwhelmed on the first few times using, especially on setting up complete sales funnel. For a limited time, you can get the Basic Package (3 Personal Sites) for $47.00 or get the Standard Package (10 Personal Sites) for $67.00. Or better, choose for the Professional Package for just $67.67 (regular price $497.00). This is by far the best option, where you can use it on 50 Sites (you own and run) and get the extra Funnel Builder, SmartCart and Split Testing features. I chose Professional Profit Builder 2.0 License. All licenses give full membership for a one-time payment. No monthly fee. Because Sean is so confident with his Profit Builder, he’s offering a 60-days money back guarantee to all his customers. You can ask for refund at any time with no question asked. So, you have nothing to lose. 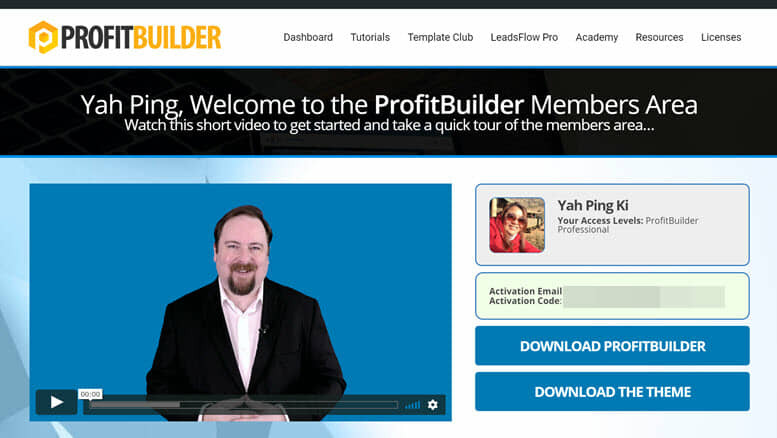 CLICK HERE TO GET PROFITBUILDER NOW. OptimizePress is probably the most effective way to create landing pages, sales pages, authority blog, events as well, but this is going to cost you something around $297. LeadPages provides you with the similar templates, which will convert high as webinars, upsells pages, landing and sales pages, but will cost you between $37 to $97 per month. WP Profit Builder is going to give you some really good and high converting templates and they can easily compete with OptimizePress and LeadPages as well. Moreover there is NO RECURRING payment and you can choose from 3 packages which will suit you – between, $47, $67 and $67.67. I really can’t think of any reason why any small online business owners or solopreneurs wouldn’t want to use Profit Builder to create high converting landing pages to grow their business. WP Profit Builder is indeed an awesome WordPress plugin to create all your marketing pages – whether it’s an existing pre-designed html landing page template or your own customized design. With the new Funnel Builder, Split Testing, WooCommerce integration, and SmartCart features, you can now go one step further and build complete funnels and/or ecommerce site. It is no longer necessary for you to pay for expensive services that require monthly payments such as LeadPages, ClickFunnels, Shopify, and others. I have been using Profit Builder for years. Other than the awesome features in this landing page creator, one thing that keep me using is the various webinar training provided by Sean on how to design landing page that converts – and is FREE! Do I still need to convince you that Profit Builder is great even for a complete newbie? For me who owns a small online business, Profit Builder is a must-have WordPress plugin. I hope after reading this, you can have better understanding on what Profit Builder is about. Do leave a comment below if you have any experience or examples of great landing pages to share here. p/s: I hope you too can share this post on your Facebook and Twitter if you find this valuable. Daily Cash Siphon Review: Black Hat or White Hat Marketing? 8 Comments on "WP Profit Builder 2.0 Review (Best Landing Page Creator for Small Business)"
Wow, thanks a lot for your review. I never heard about profit builder so far. 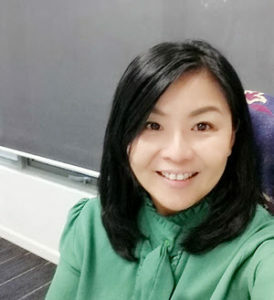 Before this I used mailchimp to make my landing page, however, I found that they do not allow user to simple use customized url unless we pay for it. Is it the same case ad profit builder? Will the user be able to track the ‘analytics’ behind the landing page? Oh yeah, I dont think WP is a greaf idea though. It takes a lot of work to create a funnel by using WP. Maybe I am not savvy enough, but, website like profit builder that provides easy to use templates is the way to go for! Hi Habil, in fact Profit Builder is only a funnel and landing page creator tool. You still need to integrate with email marketing tools like MailChimp or Aweber so you are able to store your subscriber database and send out email autoresponder to them. I use Profit Builder together with AWeber. The results is awesome. Profit Builder is very suitable for small business owners as it is affordable. I can’t afford Optimize Press yet but to me Profit Builder is good enough. Recently there is a Gutenberg update on WordPress and Profit Builder did a great job to minimize the impact on my site. Their support team is AWESOME! As a newbie to internet marketing then, I had problems with building landing pages, so the little traffic I could get my way never converted. I decided to give up, it was frustrating. 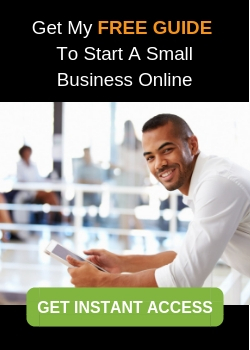 Now I’m starting online business all over again, I believe this will come in handy. Because this time I’ve decided to take my time and go about it the proper way. This article is very helpful. Thanks. You are welcome. In fact Profit Builder is really a fantastic tool to build sales funnel and create landing pages including product review page. I never regret investing in this tool for $67.67 one time payment. It is absolutely compatible with the recently launched WordPress Gutenberg 5.0. Thanks for this review, I was looking for a program to help me build some landing pages and I think I will have to give this program a shot especially since there is a risk free guarantee for 60 days. I think the thing I like the most is that it is a one time fee and isn’t a constant monthly fee. Thanks again for the review! You are most welcome. I highly recommend anyone who wants to build high converting landing pages to try this tool. It is great not only in building pages but also in creating sales funnels.